The dynamic geology of New Zealand has long been a source of fascination for scientists. Straddling a tectonic fault line, the terrain which forms this country is peppered with volcanic, geothermal and seismic activity. Once part of a much larger super-continent, New Zealand is the only terrestrial evidence of “Zelandia,” a predominantly submerged continent around half the size of neighbouring Australia. While New Zealand covers a relatively small proportion of this continental fragment, it hosts a varied array of ecosystems which have been moulded by the crushing forces of the colliding tectonic plates below. New Zealand residents and visitors have a veritable natural playground on their doorstep. From the sub-tropical rainforests of the far north to the alpine ranges and vast glacial lakes in the south, there’s an eco-adventure waiting at almost every turn. With so much on offer, I’ve narrowed down some of my favorite ecotourism destinations in New Zealand, each offering a unique insight into the history of this country’s legendary landscapes. Located deep in the heart of the Southern Alpine Range, Mount Cook (New Zealand’s highest peak at 12,316 ft) is one of 19 mountains within the surrounding national park. A rugged landscape of rock and ice forged by continual tectonic movement below, this prehistoric landscape is littered with turquoise lakes, snow-capped mountains and gargantuan glaciers. Established as a national park in 1953, the park now incorporates 70,696 hectares of spectacular mountain terrain. One of the park’s most prominent features is the Tasman Glacier. This 27km-long, 600m-deep sheet of ice has made light work of carving a path through the surrounding rock. An ever-changing work of natural art, the glacier has been trapped in a perpetual cycle of expansion and retreat for over 18,000 years. Sadly, the rate of retreat now far exceeds the rate at which new snow is compacted atop the accumulation zone, and so the once mighty ice sheet is slowly melting away. Filled with tiny particles of rock which have been masticated over time by the crushing glacial forces, the melt water of the terminal lake is milky white. 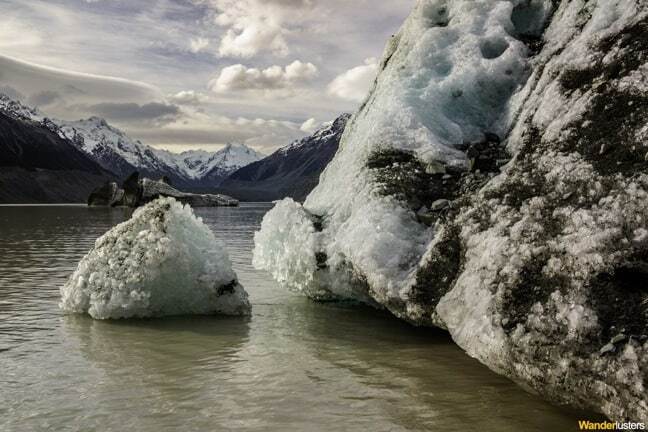 Visitors can get up close to icebergs which have broken off from the giant icy wall and floated out towards Tasman Lake and, if very lucky, may even witness a section calving from the terminal face. At the edge of New Zealand’s continental shelf sit the Poor Knights Islands, the remnants of an eroded 4-million-year-old volcano. From the mainland, the islands may look mundane, but there’s a dark history to the region, not to mention an abundant marine environment below the waves. Abandoned long ago, the Poor Knights are restricted from public usage. And not just due to protection for the native flora and fauna, but because of the Tapu, an ancient curse placed on the land by the last Māori tribe who lived there. It is said that a neighboring tribe slayed the inhabitants when their warriors were away on a hunting expedition. Upon returning, the Chief was so distraught at the loss of his people that he cursed the land and anyone who would dare disturb it. But while the islands are off limits, the waters offshore have secured their position on many an eco-adventurer’s bucket list. 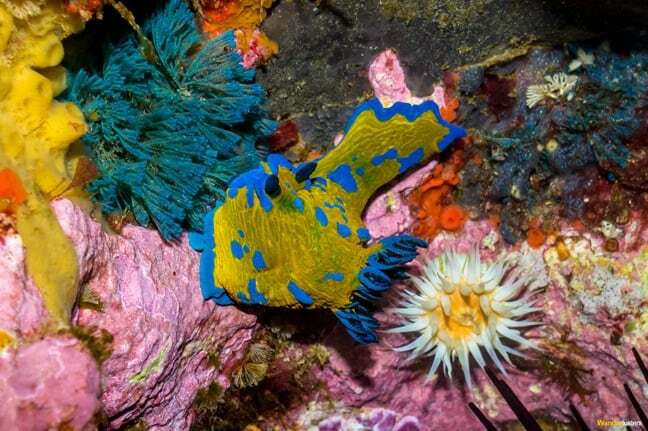 Established as a marine reserve in 1981, Poor Knights has become one of the world’s top diving sites, offering those who descend into its depths a pristine marine environment and an architectural playground of volcanic rock to explore. In the heart of the Taupo Volcanic Region sits the town of Rotorua, which is famous for its geothermal underbelly. There, sulphuric steam hisses from cracks in the pavement, and pools of boiling mud act as a water feature alternative in the gardens of many inhabitants. 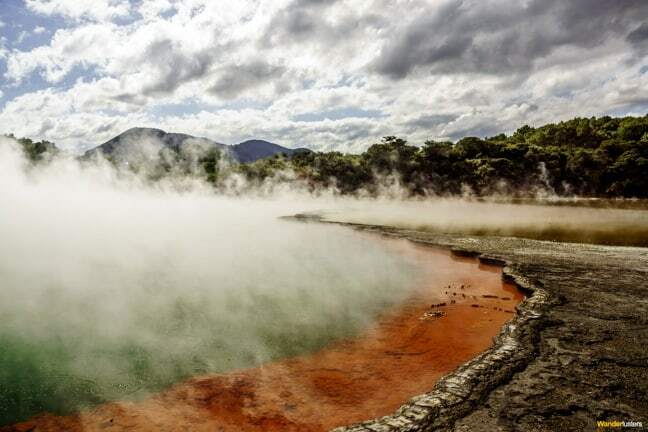 But just a few kilometers south of this often overcrowded tourist town lies the more sedate and environmentally aware Wai-O-Tapu Geothermal Wonderland. An 18 sq km reserve owned by a Maori tribal group and administered by New Zealand’s Department of Conservation, Wai-O-Tapu encompasses the largest surface area of thermal activity in the Taupo Volcanic Zone. Showcasing 25 examples of Mother Nature’s phenomenal ability to sculpt and paint our earth, the 3km hiking trail will astound all who traverse its path. From geysers and hot springs to boiling pools of mud and hissing sulphuric craters, it’s a fairly amazing hike. The reserve’s main feature is a gargantuan hot spring named The Champagne Pool, whose azure blue and bright orange hues stand in vivid contrast against the surrounding brown dirt. 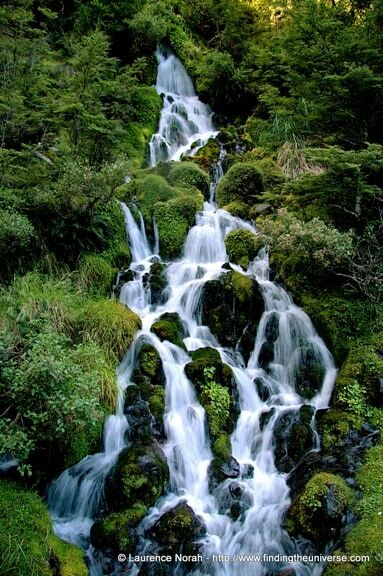 Forged by a hydrothermal eruption over 700 years ago, it’s fed by a network of underground streams. At 62 meters deep and 65 in diameter, it’s the largest natural spring in the area. Less than 50km from the coast of Whakatane lies White Island (a.k.a. 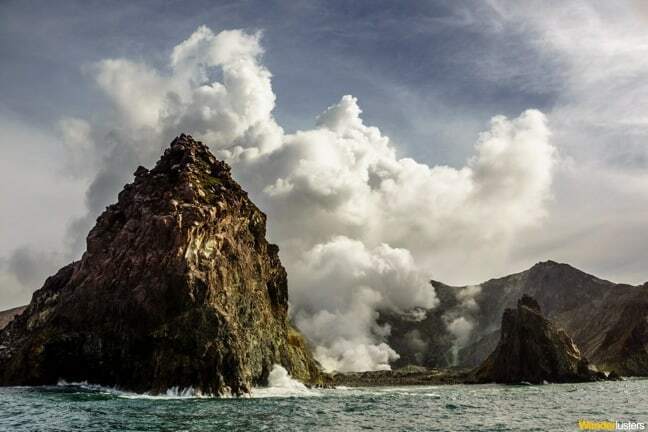 Whakaari), the only active sub-marine volcano left in New Zealand. The island was discovered in 1769 by Captain Cook, who noted the land mass, but– failing to identify its tempestuous heart– sailed right on past. 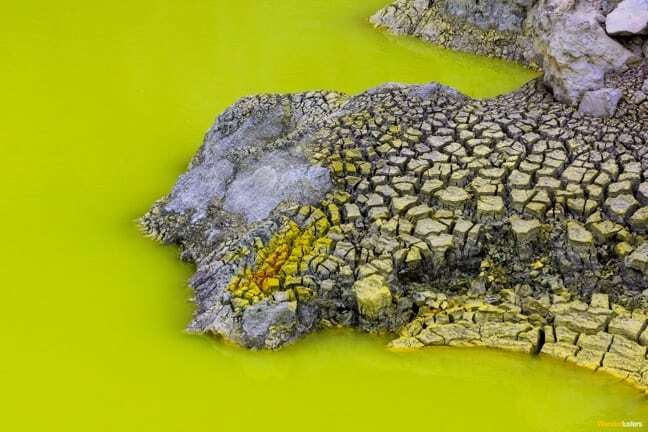 Had he decided to go ashore, he would’ve been greeted by a lunar landscape of crystalline craters, sulphur- stained cliffs, and a noxious lake of vibrant colors. A sealed crater increased seismic activity there during the early 1900s, leading to a series of landslides, which opened up part of the crater to a barrage of oceanic forces. This rocky outcrop is a windswept, arid environment with very little life present, but it is home to the largest colony of Gannets anywhere in the country. Their presence is all too evident from the droppings that make the island’s cliffs look like snow-capped peaks. Since its last major eruption in 2002, the volcano has remained in a permanent state of unrest. Consequently, it offers those who dare step upon its unstable shores the opportunity to glean insight into the very beginnings of life itself. Established in 1887, Tongariro National Park is a dual UNESCO World Heritage Area, which recognises both the diverse volcanic landscape and the spiritual and cultural heritage of the indigenous Maori tribes. The first area to be designated a national park in New Zealand, this is a place of extremes: From desert plateaus and active volcanoes to lush forests and snowy peaks, Tongariro offers adventurers an array of ecosystems to explore. There are 3 volcanoes within the park– Tongariro, Ngauruhoe and Ruapehu– which form the southern limits of the Taupo Volcanic Zone. It’s also one of the best places to catch sight of the county’s endemic wildlife, such as North Island Robins, Fantails, Tui and, if you’re lucky, perhaps the rare Kakariki (parakeet) or Karearea (falcon). It’s also possible to see New Zealand’s only native mammal, the short- and long-tailed Bat, thanks to efforts to conserve their natural habitat. For those keen to explore the park’s varied landscape, there are numerous opportunities. Day hikers can gear up and walk the Tongariro Alpine Crossing, which crosses spectacular volcanic terrain. For those with a little more puff, the Tongariro Northern Circuit is a 43.1 km trek offering views of the active volcanic craters, steaming geothermal areas, brilliant blue lakes, and glacial valleys.